The Zarya-Doomfist combination, sometimes referred to as a “gravfist,” is a simple but effective one-two punch. It’s brutal in public games, but seeing it land in a professional Overwatch match is spectacular. Zarya starts it off with her Graviton Surge, which launches a gravity bomb, sucking opponents into one confined area. Then Doomfist launches into the air and back down with his Meteor Strike, dealing huge damage to everyone in the blast radius. GamersOrigin’s Lucas “Leaf” Loison saw his teammate Gael “Poko” Gouzerch land a Graviton on three during a push in Dorado, and leapt in for the finisher. It’s a rather simple combo, but effective when landed. It wasn’t the only time that Loison made an impact with Doomfist either. Earlier in the series between the two teams, Loison tore apart opponent Bazooka Puppiez in a flashy series of punches. 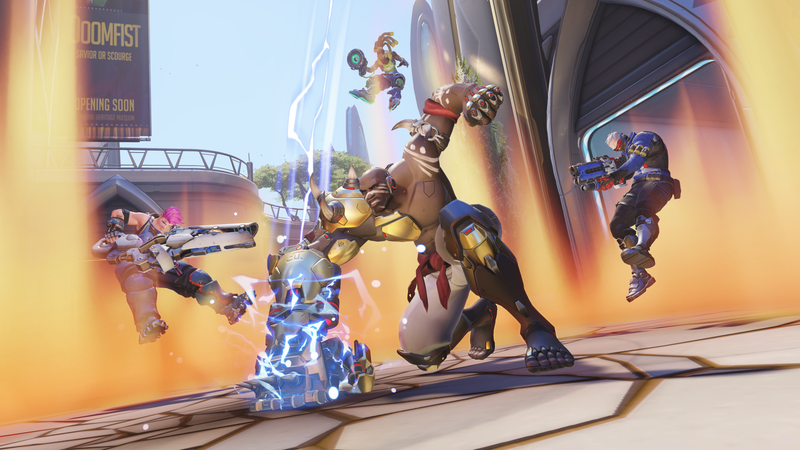 After today’s match and an APEX upset of Lunatic-Hai, Doomfist has certainly been making a splash in the competitive Overwatch scene.